Phew! Almost done here. 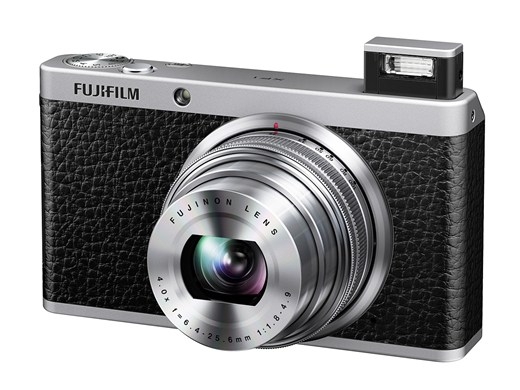 Last but not least, is Fujifilm's answer to the Canon Powershot S110. While not quite as small as the S100, it's still smaller than many other serious compacts, like the Panasonic LX7. One thing that the XF1 has over the other cameras, is the bigger 12 megapixel 2/3" sensor like the one found in the X10. The lens is an optically stabilised 4x 25-100mm f/1.8-4.9 one, and actually retracts into the body. To power on the camera, the lens is pulled out first, then the zoom ring turned away from the "off" position. Pretty neat. The other features include a 3" HVGA LCD screen, fast AF, and 1080p video at 30 FPS. Plus, does it not look really neat? See the other colours at the read link, along with a preview! Ships in October for US$500.